This silvery floral wall art is so striking, showing an array of beautiful reds, greens and golds that combine to eye-catching effect. 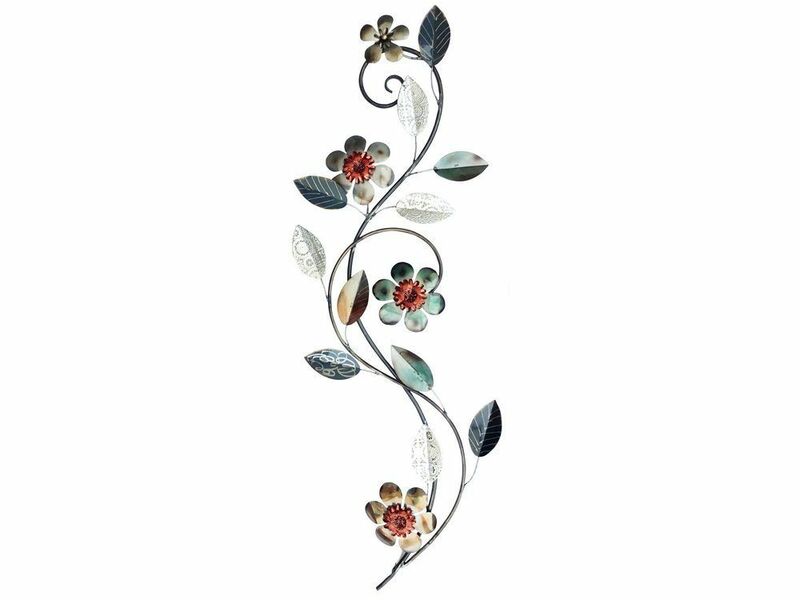 Crafted into a slender vertical design, this floral metal wall art is perfect for a narrow wall, perhaps in a hallway or above a staircase. This silver floral wall plaque shows filigree silver leaves with dainty cut-outs that add a pretty, delicate feel. Tasteful and very effective, this wall hanging instantly brings a fresh, organic colour pop to rooms, adding interest and flair. Why not combine this piece with the version that flows the other way to create a complementing pair.